Two biological principles underlie age-progression science. Eyes and teeth. Teeth – both sets of teeth (primary and adult) are fixed in size, and so when they first come through a toddler’s teeth look enormous compared to their face but by the time they’re five years old, the teeth look small. Then when the adult teeth come in around six years of age they look ‘bucky beaver’ huge until the person is an adult. When doing age progression of missing toddlers, the forensic artists focus on the size of the teeth and keep them constant in the older pic (unless they’re progressing the child decades). Eyes. A baby’s cranium is large to accommodate the big human brain, and its eyes (because they’re extensions of the brain) are also large compared to the size of its face. That’s why human infants (and other newborn mammals) appear to have such big, adorable eyes relative to the size of their faces. As children grow, their face grows down and forward with little change to the upper face. Forensic artists, therefore will keep the eyes and teeth of a young person fixed while age-progressing them. 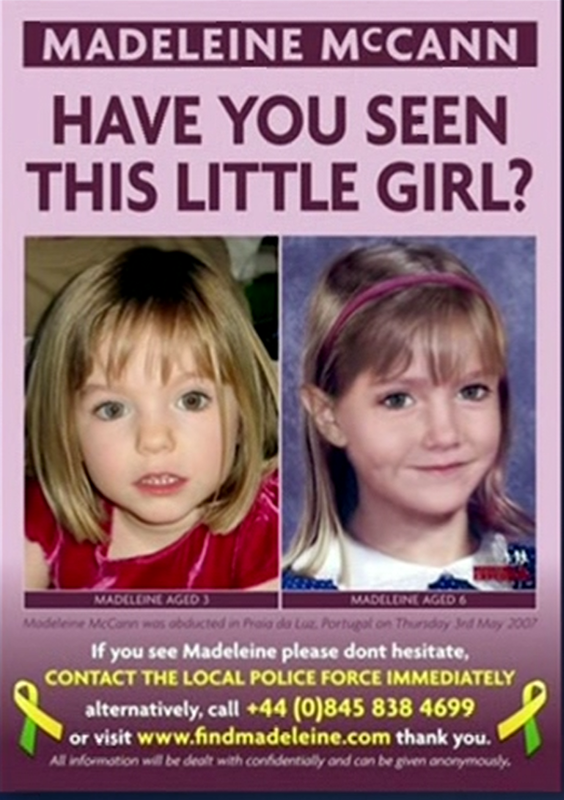 Remember those heart-wrenching images of the enormous and wide-set eyes of missing toddler Madeleine McCann that were first circulated? In the age progressed versions, her eyes remain the same and her face was widened (which appeared to push her eyes much closer together than we were accustomed to) and her nose, chin and jaw lengthened. Her mouth was also enlarged to fit her new face.